Congratulations to Pat Doran who has been selected on the Irish Seniors Home International Team. 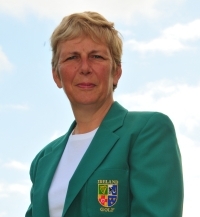 Donabate Golf Club sends good wishes and the best of luck to Pat & all the Irish Team as they compete against England, Scotland & Wales. The Championship takes place in the Burham & Berrow Golf Club. U.K. from 2nd-4th October 2018.